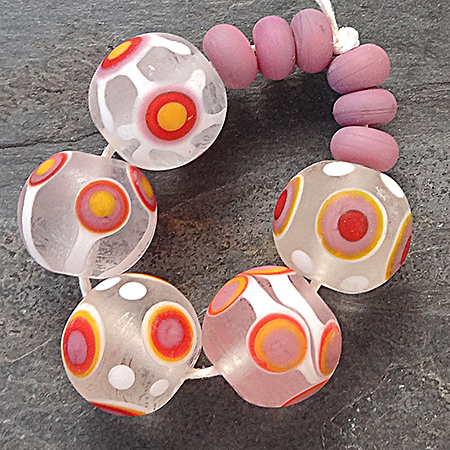 Softly etched clear beads with the most delightful patterns and colors on the surface. Accent beads included. 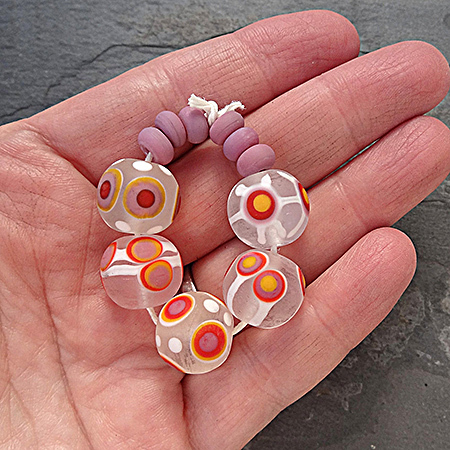 Kim and I have each been making beads for over 10 years. All beads are properly annealed, cleaned and packaged for safe transit to you. Any murrini used is Lori&Kim murrini. Our beads are also available on facebook at www.facebook.com/groups/loriandkim and we are happy to combine orders to save on shipping.